Members of our thinking partners and steering committee met in-person and via Zoom at the Athenaeum of Philadelphia for the second in a series of conversations. 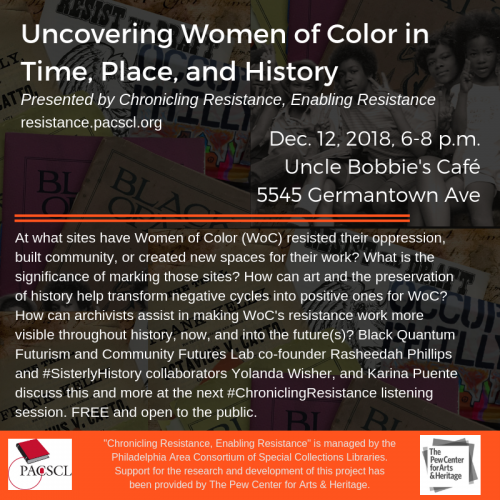 Conversation focused on valuing the contributions of those involved in Chronicling Resistance and similar projects, and how communities can learn about historical material. It is important that this project not disempower people, and that it not perpetuate issues it is trying, in some small way, to resolve. We must value people’s time and contributions, as communities often feel that they are asked to donate their intellectual and cultural labor behind the scenes of a project and left behind after a project is completed; we must think about what is left for them after the project is done. Compensation and agency are important parts of this conversation. People’s work must be acknowledged (and compensated), but agency is a deeper and more difficult concern. We will think about ways to keep in touch with those who attend listening sessions, letting them know what is happening with the project. It is also important to be upfront and transparent in order to manage expectations. To that end, being clear with partners about how much funding is available, what the timeline is, and what the goals of the project are is critical. In discussing our goal of having people and communities make more meaningful use of archives, the question of how people can learn about what is held in collections was raised. Traditional description does not focus on things like neighborhoods, ethnicities, or resistance movements, and other ways people might define themselves. The steering committee will take up this question. 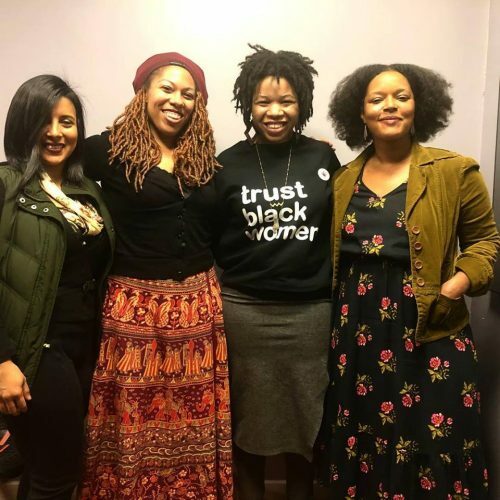 Resistance always means being against something, and it is important to acknowledge these systems of oppression even while celebrating resistance. Both these things should be marked. We must also keep in mind that stories of resistance can be sites of trauma, and think about how we can keep people safe during our sessions. In thinking about next steps, we discussed defining resistance, the importance of attainable goals, and meeting people where they are. Note: To make information on our website easier to find, we’ve moved meeting summaries to our blog and deleted the “Discover” page. You’ll find all Thinking Partner meeting summaries under the “Project Updates,” “Meeting Summaries,” and “What We’ve Learned” categories. A number of thinking partners and steering committee members gathered at the Athenaeum of Philadelphia for the first in our series of conversations. 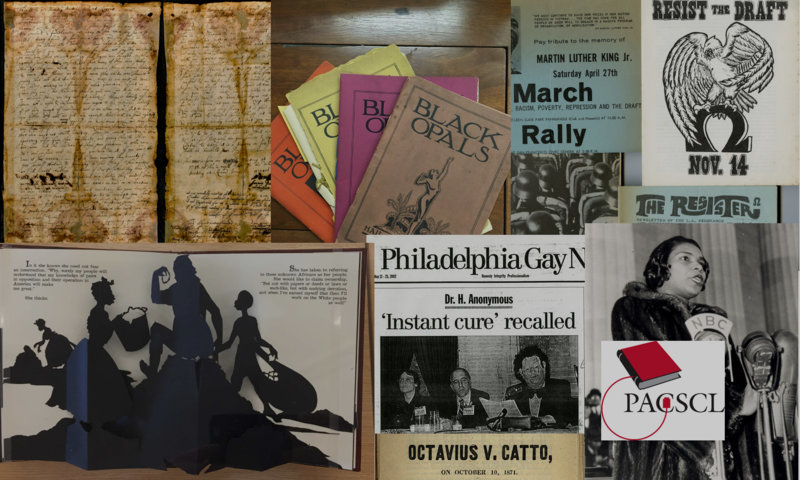 The conversation focused on the two major goals of this project: documenting current resistance, and inviting people to see themselves in resistance narratives that are kept in archives/libraries/special collections. Several themes became apparent as part of the conversation. One was that we need to rethink common knowledge about what stories are known, as some stories may seem “hidden” but will be told by people if they are asked what history is important to them. We also discussed the importance of personal and individual stories, and of people stepping up when systems are failing. Many people doing radical things may not identify themselves as resistors, so how can they be reached? There was also debate among those in attendance about what the best way to preserve stories can be. It is important to determine where people consider their stories safe, and to be sure that such places, and places where people trust their stories to be told, have resources. But there is also potentially value in “canonizing” stories by talking about them in traditionally-elite institutions, as long as this is done in a way that centers the experience of the groups in question. It is always important to insist upon the inclusion of people who may not be obvious in records. On a practical level, it was suggested that having a short, written form that people can fill out to give feedback is helpful in collecting information. In order for this to work well, it is necessary to have a specific question or hook, even if action items are still pending. Implemented Action(s) Following Meeting: The steering committee developed three central open-response questions related to the project goals and created a Google form and 5×7 response card to receive public replies.